Cveta Potočnik, 15. 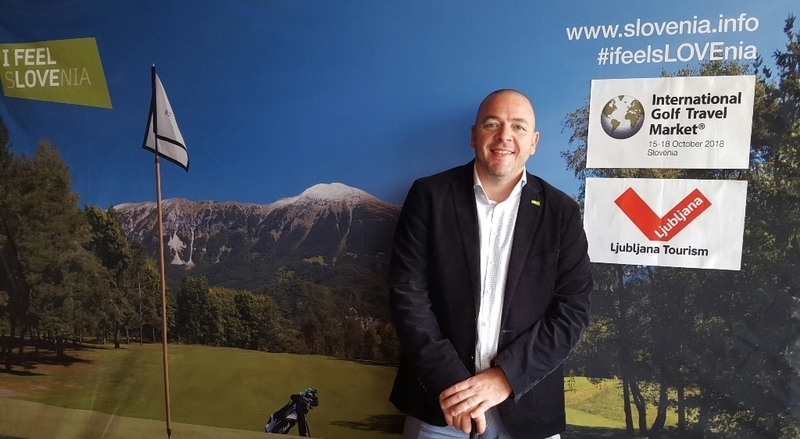 October 2018 – The 21st International Golf Travel Market (IGTM), the biggest business event of International Association of Golf Tour Operators for golf tourism suppliers, buyers and media, organized by Reed Travel Exhibitions, has started in Ljubljana. A group of about 120 participants spent the days leading up to the event touring golf courses in Slovenia, Austria, Croatia and Italy and enjoying local cuisine. The annual IGTM Golf Tournament at the 2018 edition of International Golf Travel Market will make history this year since it takes part in three different countries. Five golf courses are hosting the tournament, including three venues in Slovenia – Cubo Diners Golf Course, Otočec Golf Course and the country’s oldest layout, Royal Bled Golf Course – as well as Golf Course Velden in Austria and Golf Course Adriatic Kempinski in Croatia. 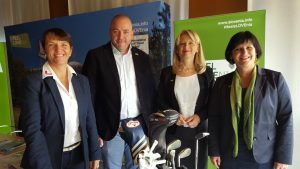 Host parterners in Slovenia are Slovenian Golf Tourism Association and Slovenian Tourist Board in cooperation with Tourism Ljubljana and with support of the Slovenian Ministry for Economic development and Technology. Boasting seven 18-hole courses and eight 9-hole layouts, Slovenia’s varied golf offerings are being showcased during the 21st edition of IGTM, where more than 650 exhibiting delegates from national and regional golf tourism organisations and leading resorts and golf courses are attending and exhibiting.